After five years, the Australian Feral Camel Management Project has barely made a dent in the enormous feral camel population. With the program ending in December, what is the future of these pesky ships of the desert? Dromedary and Bactrian camels were introduced to Australia in the 1800s as cheap transport across the continent’s grasslands and deserts. Since few native species will even attempt to make a meal of a camel, the wild camel population has exploded in Southern Australia, Western Australia and Queensland to millions of individuals. Since the Australian Feral Camel Management Project launched in 2009, the government program has managed to remove about 135,000 feral camels from the wild via aerial culling and mustering herds. Some of the problems that the camels have brought to Australia include gulping down immense amounts of fresh water from watering holes, (impacting humans and wildlife alike), damaging important infrastructure and consuming food that kangaroos, emus and other indigenous animals should have easy access to. Considering that the camel population in the millions and the AFCMP has only removed 135,000 animals from the equation, the Australian government is considering permanently pulling the plug on the clearly ineffective program. 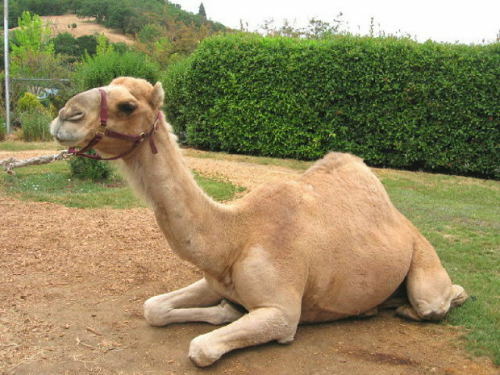 South Australian Senator Sean Edwards has noted that if the camel population increases at about ten percent each year (as it is expected to, with a current population between 750,000 and 1 million camels), there would be a new batch of 75,000 to 100,000 new camels in a year. Bearing in mind the relatively small number of culled camels, Senator Edwards may very well be right in pointing out that the expensive camel management program is somewhat wasteful. Surely the nation will continue with camel management systems in the future, but the current Australian Feral Camel Management Program’s days are certainly numbered.